Where Can I Get an STD Test in Tolleson, AZ? Sexually transmitted diseases (STDs) can take many forms and sometimes have no visible symptoms. Each year, 19 million new STDs are contracted among 15-24 year olds. However, STDs can affect anyone, so it is important for sexually active women and men of all ages to get tested regularly. FastMed offers STD testing and other services to ensure you get the care you need, when you need it. 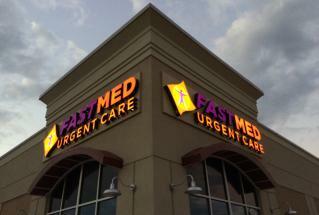 So, if you have ever asked yourself, “Where can I get an STD test in Tolleson, AZ?” FastMed can help. We offer other services including physicals, illness management, and treatment for sprains, fractures and other injuries. Deciding where to get an STD test can be stressful and confusing. With FastMed, you can be sure that your health is in reliable hands. Stop by our Tolleson, AZ location today!